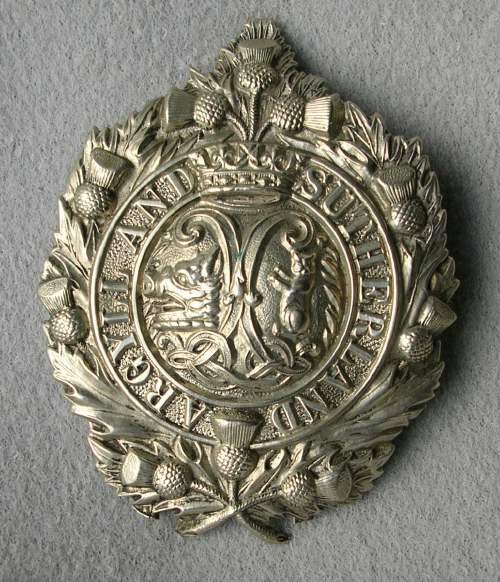 Cap badge of the Argyll and Sutherland Highlanders in silver-coloured metal with central circular emblem with a boar's head and cat surmounted by a crown and with the words ARGYLL AND SUTHERLAND around the outside. All surrounded by a wreath of thistles. Came from box of material from Grant family.